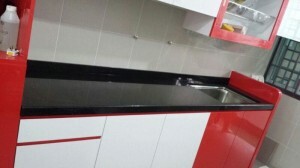 What Kitchen Cabinets Singapore Can Do For You? Kitchen cabinets Singapore are the new revolutionary development in the world of built in furniture. These are installed in the kitchens for the purpose of keeping cooking equipment, storing food items, keeping crockery and other such items which are an indispensable part of the kitchen. The kitchen accessories like ovens, dishwashers and refrigerators are integrated into the cabinetry. The designs are compact and are often considered to increase efficiency with ease. Kitchen cabinets Singapore are either wall cabinets or floor cabinets. Mostly there are multiple floor cabinets atop which there is a single counter. The wall cabinets are behind the counters and go right up to the kitchen ceiling in most cases. The kitchen cabinets are made up of wood in most cases. These are either frame-less or face frame cabinets. The frame-less cabinets are full access cabinets that means the best utilisation of the available space. The face frame cabinets are the ones which have a narrow wooden strips of hardwood framing the opening of the cabinet box. The kitchen cabinets consist of soft closing doors, trays and drawers. 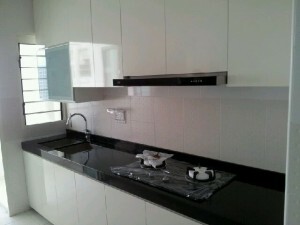 Kitchen cabinet price is reasonable too from $100 per foot run in Singapore. Depends on what you need. -Save time When it comes to arranging and organising and cleaning the kitchen, the whole kitchen does not need to go topsy turvy. It is an easy and less time consuming task to organise the kitchen when it has cabinets installed in it. -Easy Work Kitchen cabinets Singapore help you designate places for different things. This way it is easy for you to work and keep it clean all at the same time. -Solve the space issues Customised cabinets make the best use of the available space in the kitchen. With the built in cabinets, it is easy for you to fit in your refrigerator, coffee machine, oven and food processors in the kitchen and use them whenever you want to, instead of stashing them away and not being able to use them as and when needed. -Durability These cabinets are made by skilled makers and thus, these last for a very long time with little servicing needed since these are made up of high quality materials. You don’t need to worry about repairing costs since that is something far off in the to do list of yours. Kitchen cabinets Singapore are the best that you can get for your kitchen. They are durable and they are here to help you. A dream kitchen is what you will have after getting the right cabinets installed. So happy cooking! Choose the Right kitchen cabinet contractor to install your kitchen cabinets is very important. They know what you need and will be able to provide you.